I have a TON more holiday ideas. I don't know if I'll even get around to all of them, but I'm going to give it my best shot =) Thanks for reading. These totally look like poinsettia's! Amazing job and great tutorial! AMAZING!! Love it, love it, love it! That is amazing. Simply gorgeous. I wish I could do this. Lovely! 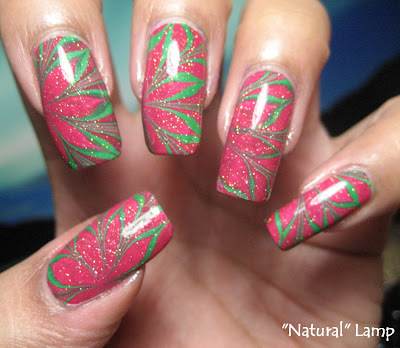 You are ridiculously good at water marbling. I tried once and gave up. OMG this is the most BEAUTIFUL water marble EVER! You are the QUEEN! I love it! 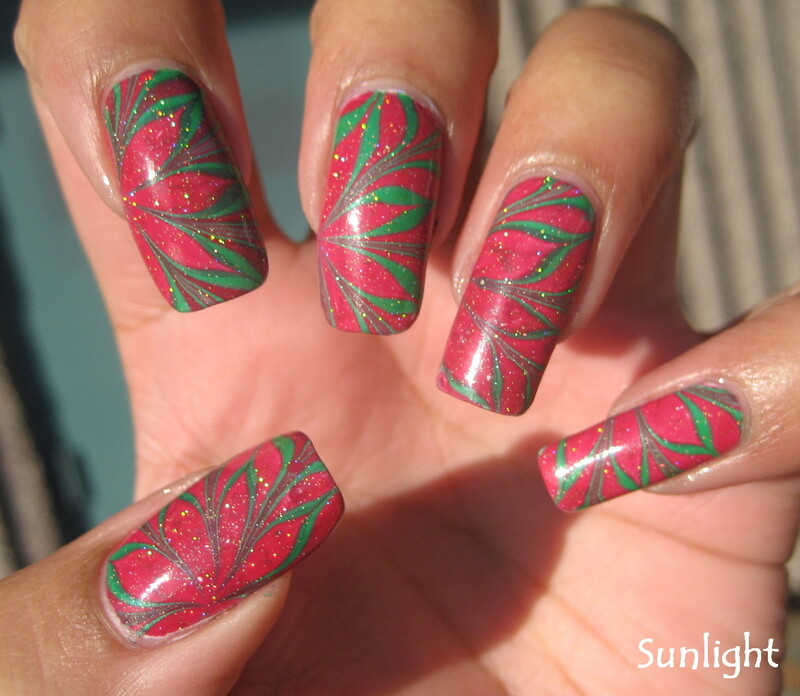 i'm lost so you let the polish dry on the scotch tape & then take it off or does the scotch tape stay on your nails? Love it! Just too awesome! You are amazing, lady! I say hello all the way from Norway to you. 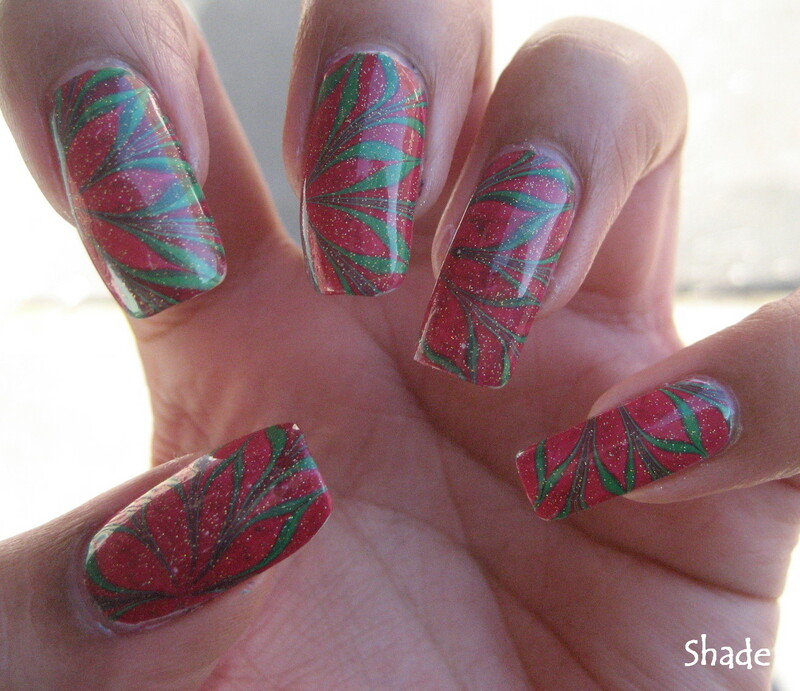 I did my marble today, but my colour did'nt spread like yours. Something wrong with my water? AMAZING! I am in utter awe! I am so going to try this! What a great idea, I can't wait to see what else you come up with! 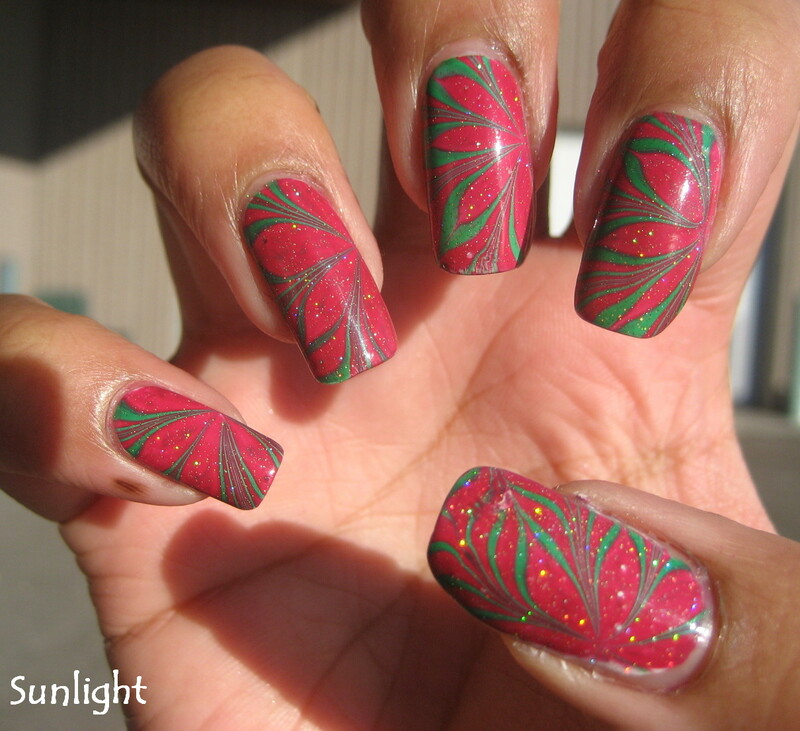 You are the water marble queen!! Fantastic! ooohhh I really love this marble..!! I am going to try this one tomorrow!! you are the marble QUEEN!!! While this may not be your favorite marble - it certainly is mine. Wow, this is super impressive. oh my gosh! i friggin LOVE this design. 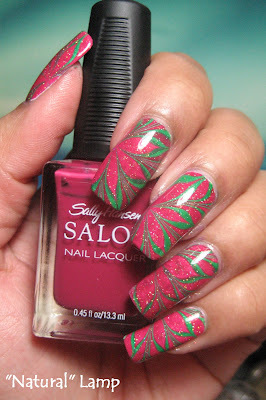 im definitely going to try this next time i do a water marble. would look soooo pretty with other colors too. This is gorgeous. I can't get over how the placement is so perfect. It's a beautiful design. You should be so proud of yourself. GREAT tutorial. Thank you so much for posting... Your manicure looks AMAZING. OMG this looks so PERFECT! you'r great at marble! I wish I had just a third of your skill! I absolutely love it and am so inspired to get more creative with my daughter and my nails! BE-U-T-FUL!I love it. 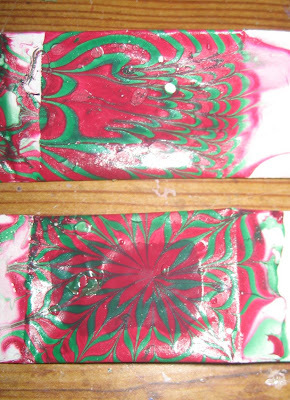 I just tried water marbling yday after watching about 5 of your videos and I was shocked at how well I did. How do you remove water bubbles and droplets from your nails? OMG is this amazing, or what??? Wow Colette, this is just stunning! I love this look sooo much. I really want to try it out, but I just moved and I have no idea where any of my water marbling stuff is... Thanks for sharing this cool design! omg!! really love this design..
my name is Emmy, from Israel. first of all - this is amazing !!! do you simply fill the cup with water and them start dropping the nail-polish into the water ? or is the cup filled with any special mattiriels? These are amazingggg, but I need help. The nail polish just keeps drying too quickly when dropped in the water, what can I do to solve this? can you use any kind of finger nail polish? I love the marble!!!!! I can never get the marble to look like i intended for it to be...do u have any tips 4 me? P.S. i used the flat end of the orange-stick for the base of the track and used the pointed end to make the line in the middle-top of the hoof.